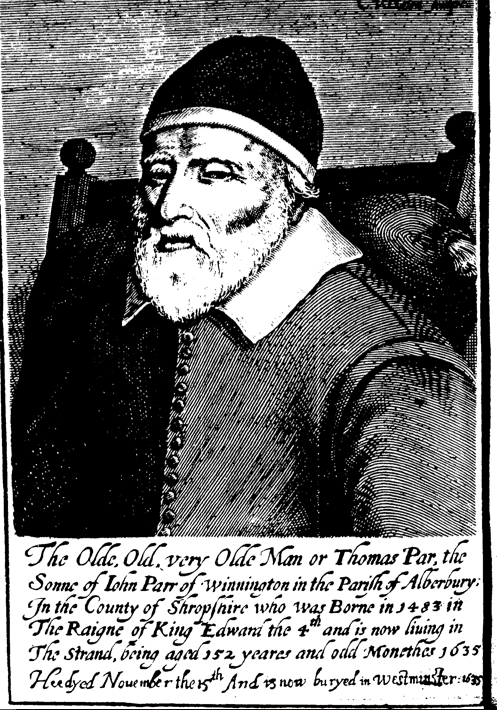 or The Age and long Life of Thomas Par. 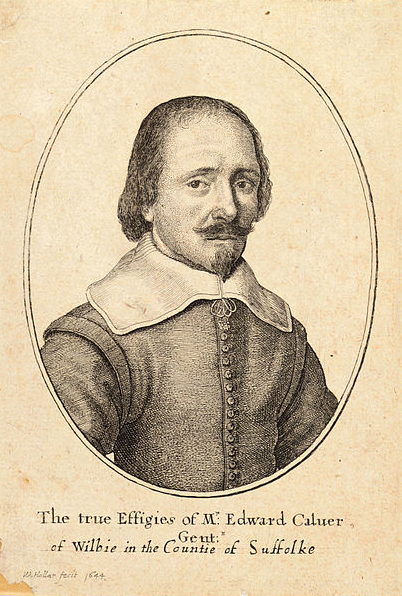 John Taylor 1635. Note the variety of spelling in the title. Taylor was never slow to jump on the bandwagon. There was quite a rumpus when the old boy was brought to London by stages from his home in Gloucestershire. Tom claimed to be 152, having been born (so he said) in 1483. 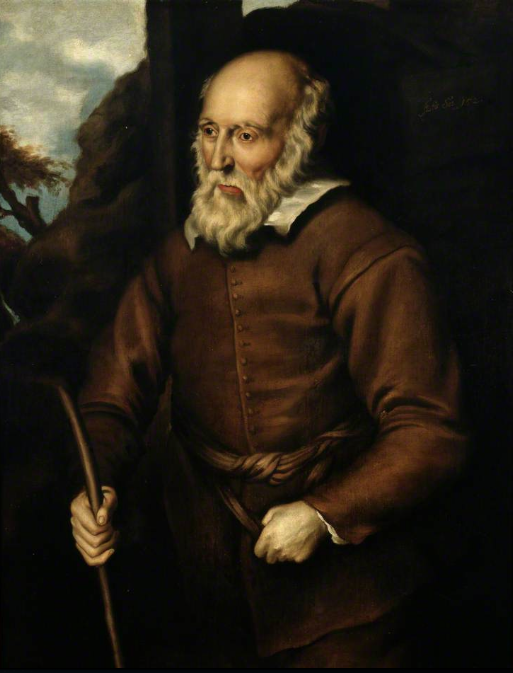 The book details the journey that William Harvey thought had killed Tom and ends with a poem about his life. Tom wears probably the same doublet he was painted in, but also wears a lined day cap and small collar band. Vntill sweet Peace those civil flames had quench’d. The yeare of fourteen hundred, eighty three. 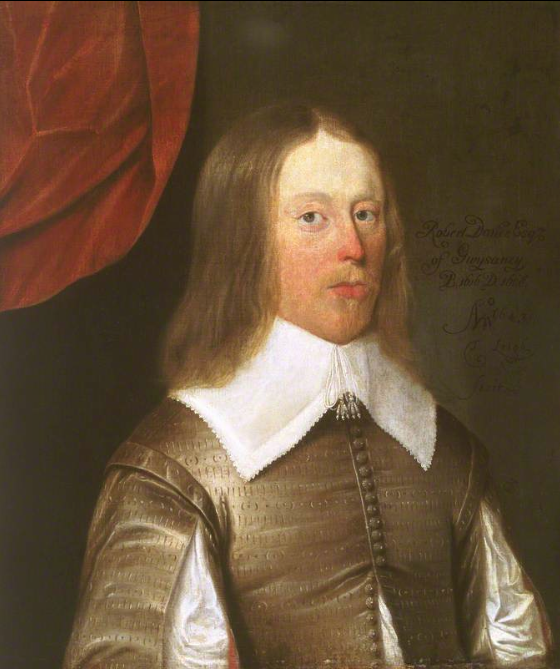 Reputedly the oldest man in England when he died in 1635, Tom Parr claimed to have been born in 1483 which made him 152. 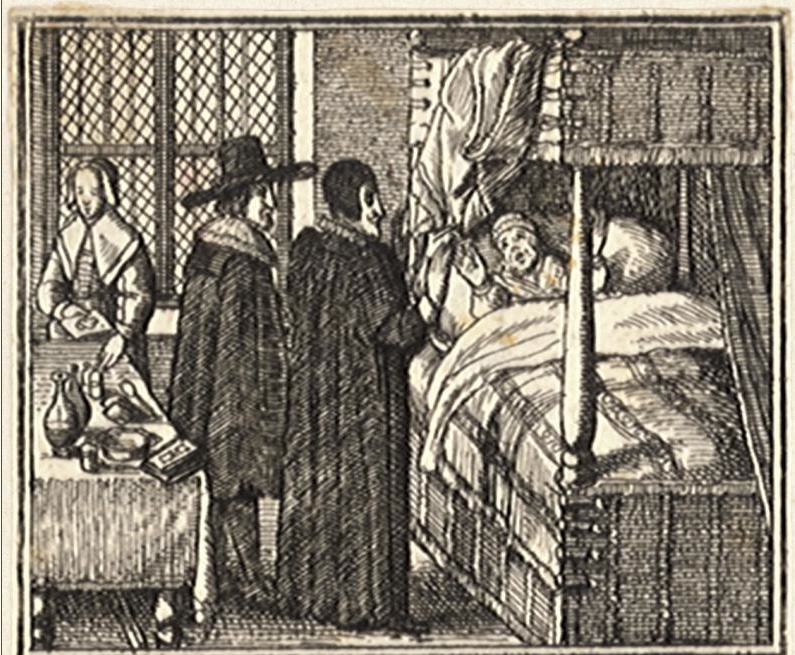 The cause of death was declared by William Harvey to have been overexposure. The pressures of fame. Tom wears a simply cut, possibly russet doublet with shoulder wings and a small collar band. He’s also knotted something around his waist to act as a belt. There are several versions of this picture. This one hangs in the Ashmolean Museum in Oxford. 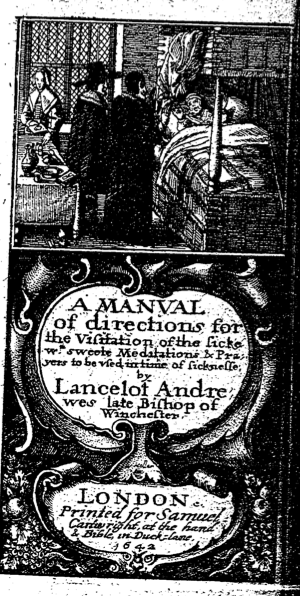 Pictured on the front page of his tome The Spiritual Taste Described and a Glimpse of Christ Discovered, published in 1649 and engraved by Thomas Cross. 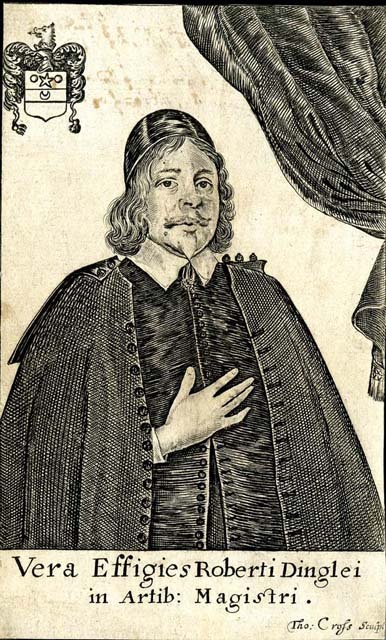 Dingley wears a black doublet with a collared cloak, small falling band and black day cap. 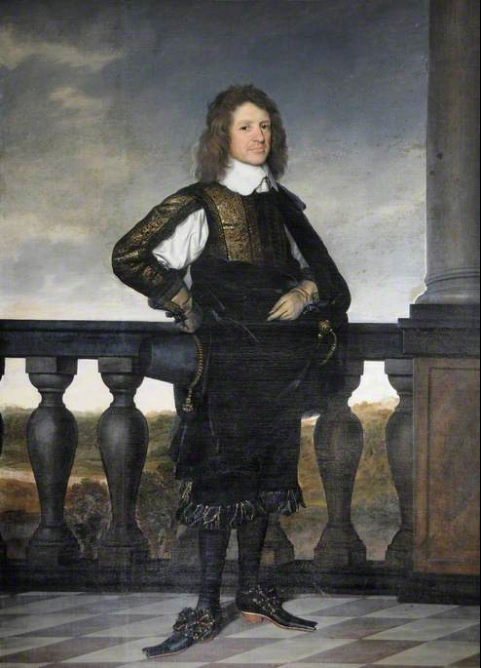 Note the buttons on the collar and all the way down the front for fastening the cloak for inclement weather, though for the picture, Robert wears it in the off the shoulder manner of religious portraits of the time. Presumably the garment is held on by some kind of strap that fixes around the arms. Although it looks like a coat and it has neck shaping, I believe the wide flap collar at the back marks it as a cloak. Coats at this time generally had no collar or a short stiffened band. Etched by Wenceslaus Hollar in 1644, Calver was a poet, but not a very good one. In fact his entry in the Dictionary of National Biography says his was “a meagre talent dedicated towards unremarkable moral themes”. Oh dear. Not much is known about him either, apart from his poetry and the fact that he came from Suffolk. Anyway here is Edward, presumably stuck for a rhyme dressed in a smart doublet with narrow shoulder wings and a darted linen falling band. Nice clear view of his doublet buttons too. Painted again by Thomas Leigh in 1643. 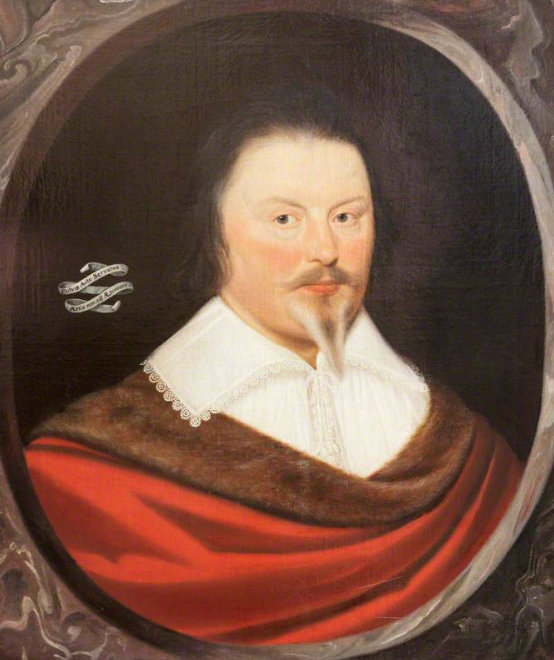 Robert was High Sherriff of Flintshire and fought for the King during the war, though he was imprisoned by Parliament forces in 1645. He is dressed in a gold silk doublet which has been pinked, or slashed across the body, sleeves and shoulder wings. I’ve not seen a lot of this kind of decoration from the 1640s, it was more a Tudor decoration, though in Wales, it may have not been quite as old fashioned as it would have been in London. His buttons are a nice detail too, seemingly wrapped with the same thread that makes up the doublet and he has a smart, though understated falling band. He does need to do something with his hair though! 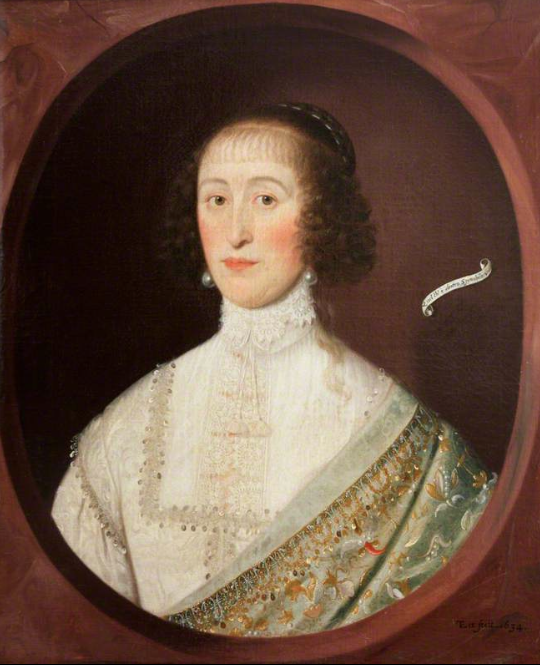 The portrait can be found in the National Museum in Cardiff. 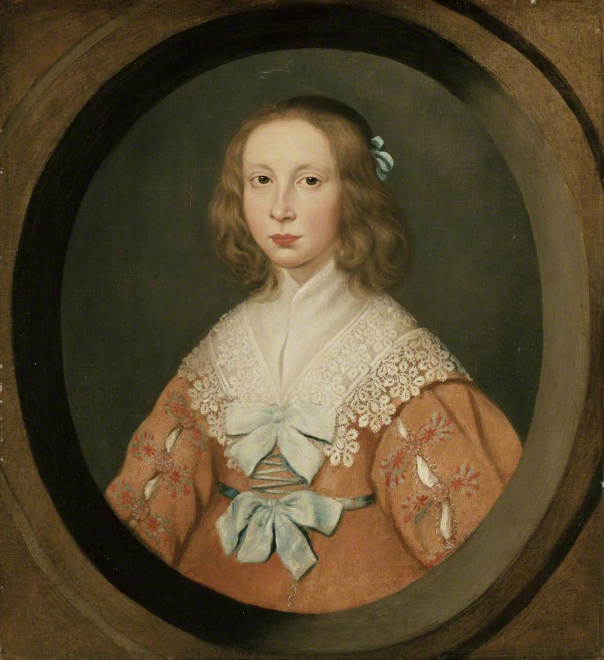 Also painted by Thomas Leigh in 1634, Thomas is derssed in a similar fashion to his wife Isobel, though we can only see his shirt and the fur lined wrap over his shoulders. We can see however that the shirt is of fine linen and that the collar is integral to the shirt. The lace is small but really good quality and if you look closely you can see a dart in the band on his right hand side. This picture also hangs in Trerice, Cornwall. I hope they’re still together.